Hi! I'm sorry if this type of question has already been asked, but here goes. So I am 13 and I have been dancing ballet since I was about 5. I dance at Kansas City Ballet, (not sure if you have heard of them?) as part of their school/academy curriculum. I take 7.5 hours of technique class, 2 hours of pointe, 1 hour of modern, and 1 hour of conditioning/Pilates a week, not including rehearsal and performances- when the students get to join the company in performances like the Nutcracker. I want to be a professional ballet dancer, but I'm not sure what path to take. I have heard some things about homeschooling for when i am a little older, except I wouldn't want to put that pressure on my mom. Education is very important to me, so I would not want to drop out of high school. Do I need to move away from home to a big city? What are the options for college? I know that a career like that would overlap, so what are the options there? Also,I would like to join a smaller company, but am afraid that the pay will be extremely low. Obviously, it will be low anywhere, but would it be lower at a smaller company? If so, by how much do you think? Thanks! To:- Career Development Plan - What Are the Choices For Professional Ballet? are getting a very good amount of training for your age, so you are already on the right path. Just like me, I always thought my education was just as important and I'm pleased you think this too. 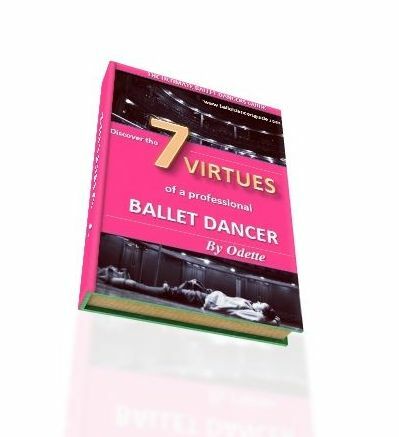 There are great dancers that are extremely intelligent and smart, so it is not just ballet you can excel in. I kept doing my academics within my vocational ballet school until I reached the time to join a professional company, which was 18 years old. I think you do not neccessarily need to be home schooled, there are various options that could be possible. I know that in the UK there are many vocational ballet schools that offer academics as well as serious ballet training. There are also different dance schools in America like San Francisco Ballet, where they include dance training and then you fit in your academic lessons around this schedule. By the time you reach the age of 18, many dancers join a company so then it becomes a professional job and academics can be put to a hold until you independently decide to study or take further academics. In smaller companies, you can often get more opportunities and chances to perform. Although the salary may be slightly lower than a larger company, it should always still be enough for dancers to live off. When I got my first job in a smaller company as a starting apprentice, I had enough money to live and it was just about fiine to pay for all my expenses. I hope this helps, please do keep in touch!